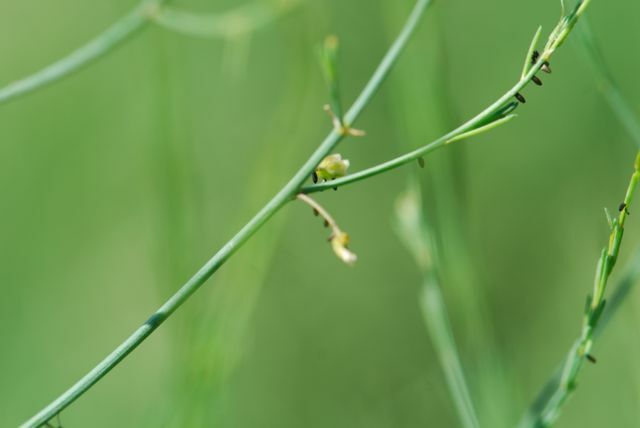 Ever seen asparagus growing "wild"? I found some in a field in western New York. It had some insect larvae on it. Are they caterpillars? Are they sawflies? Some were smaller than others. Here is a clue. Check out this bright orange beetle. 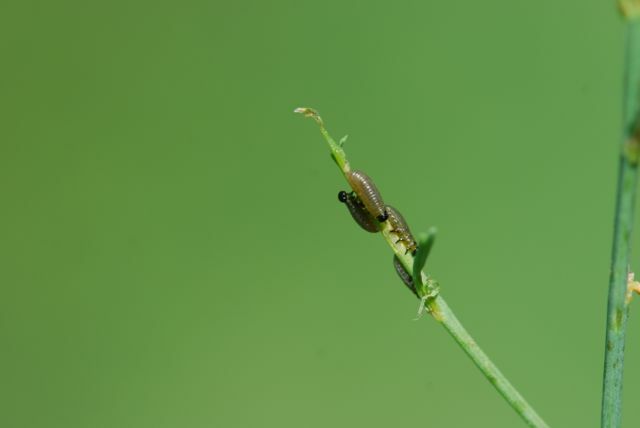 It is the spotted asparagus beetle, Crioceris duodecimpunctata. Yes, it is a spotted asparagus beetle larva. If you look closely, you can even spot some eggs. It is unusual to see so many life stages of a single insect on one plant. 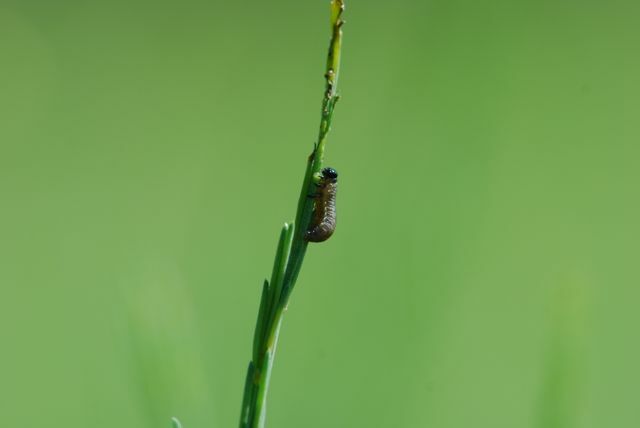 When it is mature, the larva drops off and forms the pupa in the soil nearby, so none of the life stages move very far from the asparagus plant. 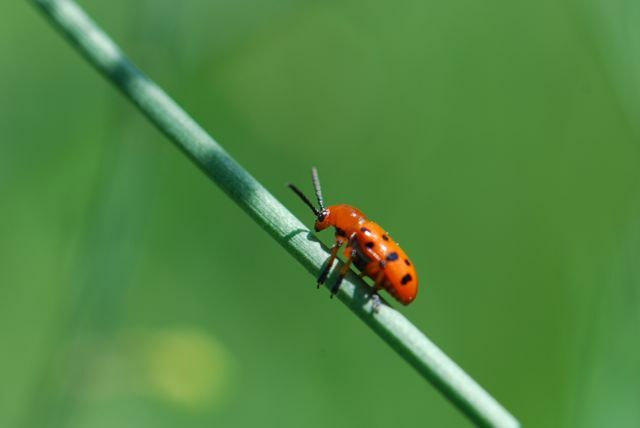 The adult insects are bright red and black, which is a warning coloration. They also have another trick. 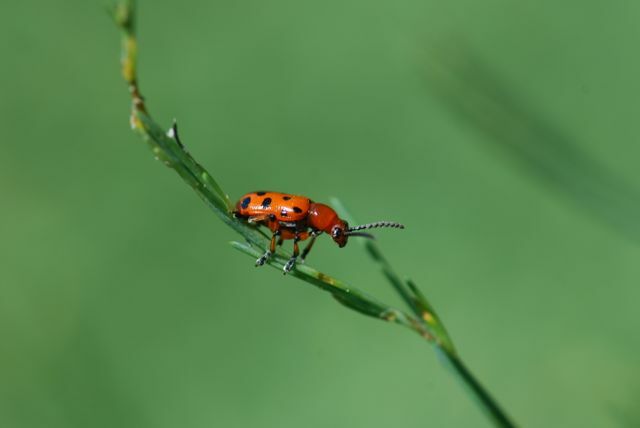 Have you ever picked up a spotted asparagus beetle? They stridulate or make sounds to defend themselves when captured. 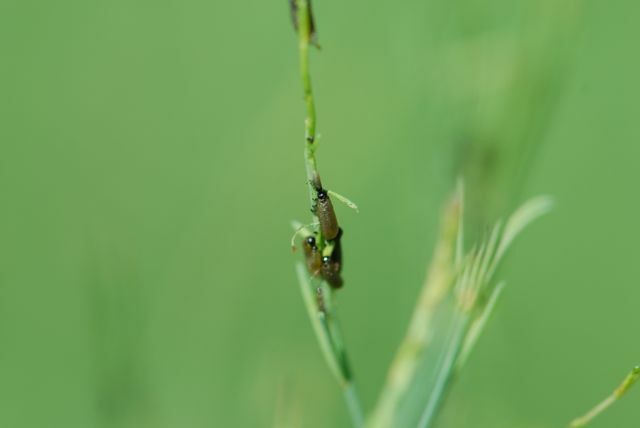 If you are looking for an insect that is abundant locally for studying insect life cycles, you might want to check into asparagus beetles.